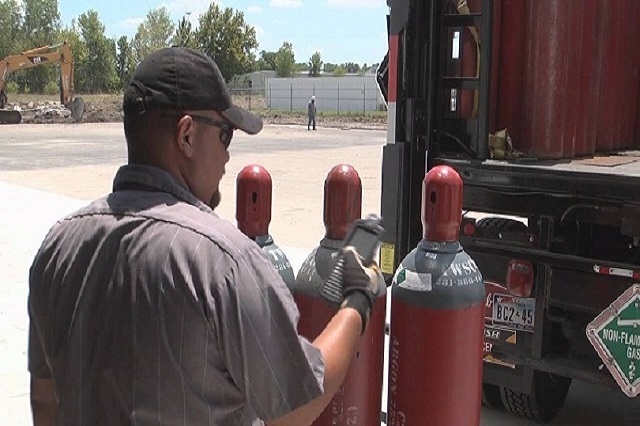 With Sailor Cylinder Tracking System (CTS) industrial gas manufacturers or gas distributors can now manage their large number of cylinders and/or service many customers. Gas cylinders in this business constitute the main cost. Tracking as well as watching the turnaround time of a large number of cylinders through multiple locations is beyond the capacity of manual systems, hence IdeaSailor has come up with unique solution. 2.Sailor CTS report status of any given cylinder or show complete cylinder holding position of any customer along with the number of days each cylinder has been lying at a particular location. 3.Sailor CTS also calculates rent for “overdue” cylinders and generates bills besides printing full record of receipts and issues of empty/filled cylinders through various points. 4.Keeps track of inspection due dates and last painting date of each cylinder.